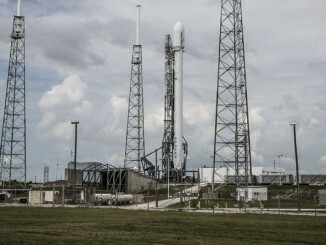 A communications payload owned by the Luxembourg-based satellite operator SES will ride the first launch of an upgraded Falcon 9 rocket in mid-2015, SES officials said Friday. The decision comes after a review of the risks of launching the SES 9 satellite with rocket engines operating at higher thrust for the first time. “We have a very stringent protocol to validate all these sorts of either new launchers or upgrades to existing launchers,” said Karim Sabbagh, president and CEO of SES. 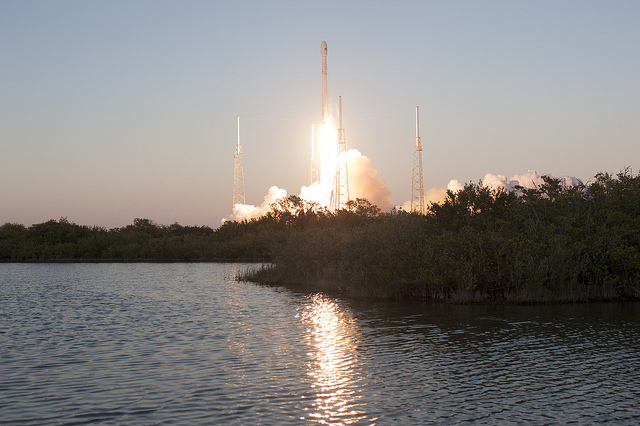 SpaceX plans to launch the telecom satellite on a Falcon 9 rocket from Cape Canaveral in June or July, and the launcher’s nine Merlin 1D main engines will produce more power than on previous flights. The closely-held Hawthorne, Calif.-based launch company has not disclosed what physical upgrades are present in the more powerful engines, or how much additional thrust the powerplants will generate. 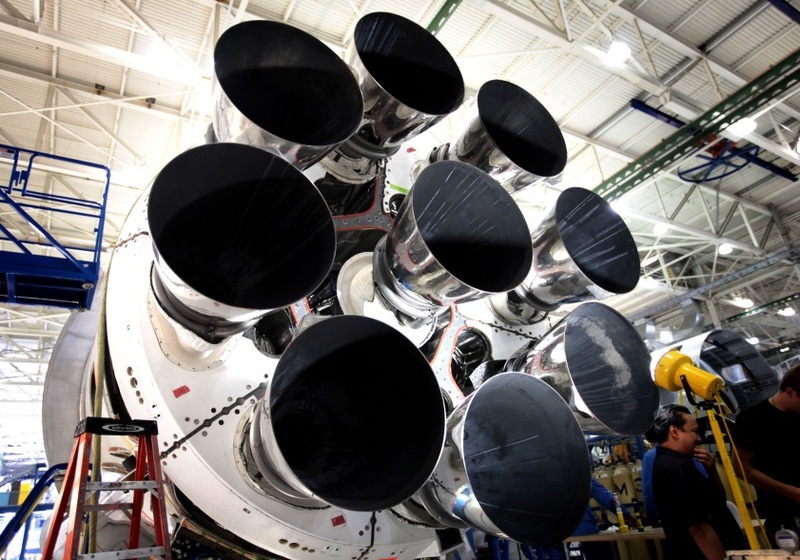 The nine Merlin 1D booster engines are arranged in an “octaweb” pattern on the base of the Falcon 9 rocket, and a single Merlin engine optimized for firing in space powers the Falcon 9’s second stage. SES chief technology officer Martin Halliwell told reporters in January that the upgrade gave the Merlin engines about 20 percent more thrust, according to a story published in Space News. 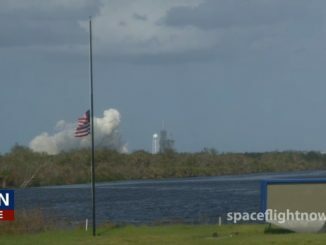 Sabbagh said Friday that the SES engineering team endorsed the launch of SES 9 on the maiden flight of the upgraded Falcon 9 rocket. Built by Boeing Satellite Systems, the SES 9 satellite needs the extra boost to reach its planned egg-shaped transfer orbit en route to a final perch 22,300 miles over the equator. SES 9 has a launch mass of about 5,300 kilograms (11,684 pounds), heavier than any payload yet launched by a Falcon 9 rocket toward the geostationary orbit preferred for large telecom satellites. 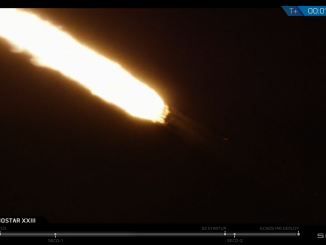 The Falcon 9 rocket will deploy SES 9 shy of its intended operating post, and the spacecraft will use a mix of conventional hydrazine-fueled thrusters and electrically-powered propulsion to reshape its orbit and reach its final location. SES 9 will be parked in geostationary orbit at 108.2 degrees east longitude, where it will hover over the Asia-Pacific, broadcasting direct-to-home television and linking maritime customers in the Indian Ocean. SES considers the SES 9 satellite a significant revenue driver, and its 84 Ku-band transponders grow the company’s reach in the Asia-Pacific market.